Speaking of HD video, you must think of Blu-ray. Yes, Blu-ray 1080p movie is the HD video you can see nowadays when 4K is not used in videos. So do you really know Blu-ray? Do you know how to play Blu-ray? Here, let’s talk about Blu-ray. While current optical disc technologies such as DVD, DVD±R, DVD±RW, and DVD-RAM rely on a red laser to read and write data, the new format uses a blue-violet laser instead, hence the name Blu-ray. Despite the different type of lasers used, Blu-ray products can easily be made backwards compatible with CDs and DVDs through the use of a BD/DVD/CD compatible optical pickup unit. The benefit of using a blue-violet laser (405nm) is that it has a shorter wavelength than a red laser (650nm), which makes it possible to focus the laser spot with even greater precision. This allows data to be packed more tightly and stored in less space, so it’s possible to fit more data on the disc even though it’s the same size as a CD/DVD. This together with the change of numerical aperture to 0.85 is what enables Blu-ray Discs to hold 25GB/50GB. Recent development by Pioneer has pushed the storage capacity to 500GB on a single disc by using 20 layers. MPEG-2 – enhanced for HD, also used for playback of DVDs and HDTV recordings. MPEG-4 AVC – part of the MPEG-4 standard also known as H.264 (High Profile and Main Profile). SMPTE VC-1 – standard based on Microsoft’s Windows Media Video (WMV) technology. Read: VC-1 vs. AVC, Which is better? Learn Knowledge about Dolby TrueHD, Dolby Digital AC3, DTS Surround Sound, DTS-HD Master Audio. No matter you want to protect your expensive Blu-ray discs or want to make a digital copy of Blu-ray to streaming on portable devices, here has the solution for you. You can use Blu-ray Ripper to rip Blu-ray to digital format and device on your own. 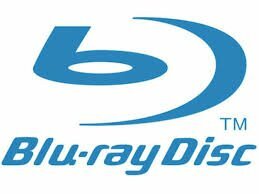 Below are some popular Blu-ray ripping tool reviews. – Decrypt Blu-ray AACS, BD+, UOP up to MKB61. – Convert Blu-ray to MKV with lossless quality. – Re-encode Blu-ray to multi-track MOV, MP4, AVI. – Create 3D SBS MP4/MKV from 3D Blu-ray to Gear VR, HTC Vive, Oculus Rift, etc.